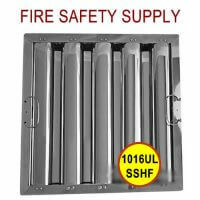 10″ x 16″ Aluminum Baffle Grease Filters are lighter in weight but offer a nice and shiny appearance for open kitchens or situations where filters can be seen by guests. 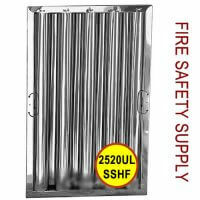 The lighter weight makes this filter a popular choice for easy installation, handling and maximum shipping savings. 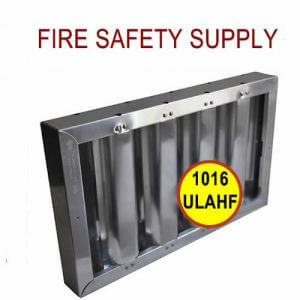 Baffle grease filters collect grease and stop flames from penetrating into the hood exhaust ductwork. 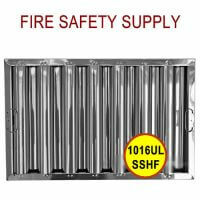 They are designed to prevent flames from passing through the baffles and can withstand various temperature levels. 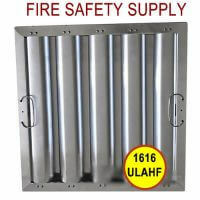 The solid baffle construction of each hood filter ensures a reliable flame barrier when you need it. Practicing efficient grease removal lowers the risk of such flare-ups. This 2″ thick grease filter contains two layers of equally spaced roll formed baffles. The spacing creates an airflow that allows grease to collect, then drain down the baffles and finally into the collecting trough.